I reprise this key 2003 essay as a reminder of how Communists use deceit to subvert society. Their appeals to “social justice” and “equality” are a con game. Their real goal is to get rich by selling out the people. Nancy Pelosi is worth $100 million. Bernie Sanders: $2 million Obamas — $135 million. The Clintons — $240 Million Communism is Cabalist Judaism which is Satanism. We have all been inducted into this satanic cult. We are under occult attack. Related- Makow – We have de facto Communism and What is Communism? 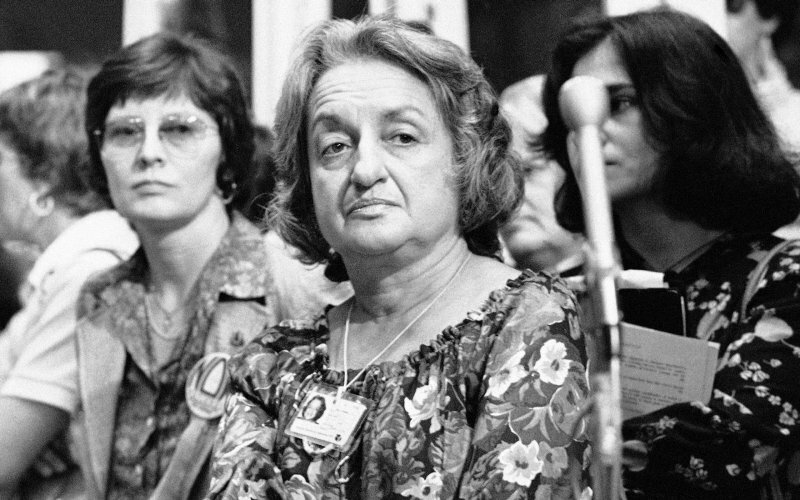 Betty Friedan, the “founder of modern feminism” pretended to be a typical 1950’s American housewife who had a “revelation” that women like her were exploited and should seek independence and self-fulfilment in a career. What Friedan (nee: Betty Naomi Goldstein) didn’t say is that she had been a Communist propagandist since her student days at Smith College (1938-1942) and that the destruction of the family has always been central to the Communist Jewish plan for world tyranny.